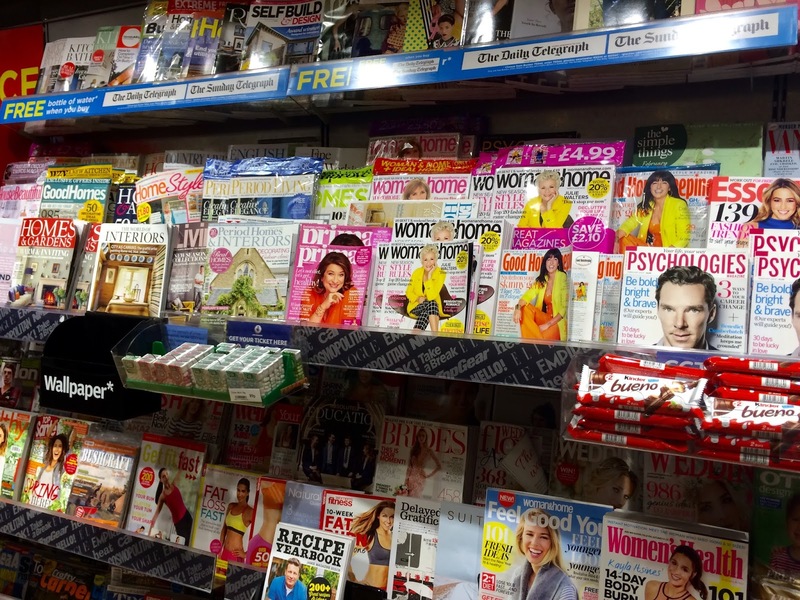 What do mag covers tell us about teasing? Even WH Smith suddenly seemed alluring today as I whiled away the windy minutes on the platform, awaiting the North-bound HST. Inside, I stared at a towering magazine rack from which I had the intention of purchasing absolutely nothing. I dimly recalled, however, that on one occasion, when trying to help a surprisingly receptive presenter keep listeners riveted to a piece of imminent fruity content, I had mumbled something about "what would they say about that on a magazine cover". The mag rags wouldn't say "Inside: We've been interviewing Robbie", they'd cut out some mad single juicy quote or topic, exaggerate it hugely, take it out of context and stick it on the front in a horrible fluorescent splash. Simply because they needed you to be sufficiently curious and interested to lay out a few quid to buy the trashy thing. Their front page is our 0755 link, I guess. Still bored - and probably being observed on the monochrome CCTV by a crinkly bloke in a crimplene uniform - I jotted down a few of the front page mag splashes to see if my theory held water, or if it was just the usual pointless ramblings of a programmer. Heat struck me. "Charlotte Crosby - my shocking nose job diary". That sort of works, I guess. Suitably specific to tempt me, if I were interested in people's nose jobs. It's certainly better than "We've been talking to Charlotte Crosby - and we'll be playing out that interview after the news". I've heard that sort of stuff. And 'diary' suggests secrets are about to be revealed. Grazia tries the same trick with "Inside Kate's debauched divorce party". Now you're talking. Leave them in no doubt about what they're about to miss, but never give the pay-off. Alas, nothing arose from my peering at the front page of Rail magazine. Nor from the numerous mags which did lists of things like: '"5 reasons to retire"(The Lady). 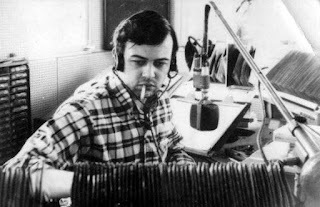 '65 things about orgasms' (I just made that up) might have worked better, but I'm not entirely sure the old journo numbers trick works too well on radio. By the way, that's apparently: 'Number or trigger word + adjective + keyword + promise'. Maybe try that magic on your website and social media click-bait. On-air, though, hand-pick one thing from the list, pull that apart, caress it, squeeze out the value - and you might have something. The Traveller fared slightly better with a '"The results are in' about something or other. But the girls' mags excel: "She changed her Tinder to women only - and it got interesting" (Glamour). There's a radio plot. The Radio Times promised "The most irritating TV ad ever". Now, who doesn't want to know which one that is - even if only to disagree. That's like 'the Number One' on a list or chart, 'the best song ever', or the 'worst song ever' (don't try but the latter, I'm just illustrating a point here). You cannot stop nosiness about which it will be. If you can elicit genuine curiosity in a tease, it works. There's a world of difference between 'In just a sec, the brand new song from Adele... Have a listen, see what you think" and "Adele's next". Implied or explicit questions are good. Whatever the format, you want listeners to carry on listening - or to come back later. Keeping people listening is really about forward momentum. Making your show difficult to leave because it's enjoyable and/or interesting - and satisfying a need. Making it a programme you want to come back to later - and tomorrow. 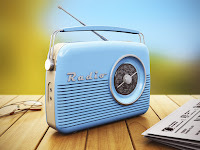 Great content, of course, is key, and, dependent on the format, how it makes the listener feel - and helping the presenters become the listeners' friends and family. 'Teasing' can be a useful part, although not the whole, of the strategy. But the pointless previews and 'so what' teases which riddle British radio like a disease - probably do little else apart from delighting naieve programmers. If you're going to tease, it needs to be more than a yellow AA signpost. It needs to be an unfinished story, preferably with integral value, that arouses a pang of hunger. Otherwise, readers will buy the next mag along, and listeners will have moved on. More about teasing in my book 'How to Make Great Radio'. Proceeds to the Radio Academy. A favourite song cheering a sullen moment in a grey teenage bedroom. Hoping to hear the name of your school when the snow fell. That birthday shout-out the day you were spotty sixteen. The noisy album you won, aged 17, and wrote your name on. The soundtrack to Summer journeys with your best friends in your first car. Smiling on the way to another dark day in a dull job. Upset because they moved your favourite presenter. In bed. Wrapped up. Rain on the window pane. Cromarty. Dogger. Stuck alone in a motorway jam. Knowing you're fighting it together. Objective news reporting in a former dictatorship. A wind-up set pulsing out life-saving messages on AIDS across Africa. Risking imprisonment in Germany listening to Long Wave from London in the dark days of War. A captive Terry Waite chained to a radiator in Beirut, hearing a World Service birthday message from his cousin. It’s for good reason that nine out of ten people around their Globe spend as much as a quarter of their waking hours with this delightful one hundred year old medium. 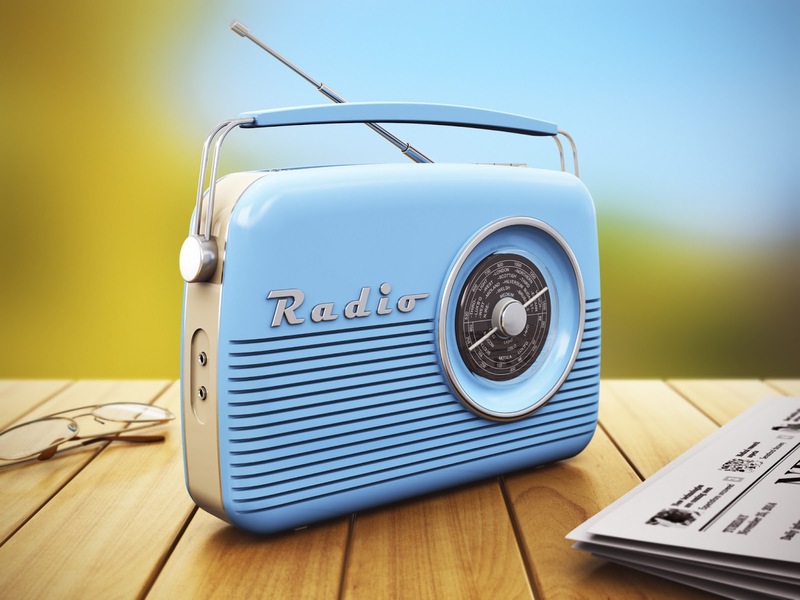 This year, the UNESCO theme for World Radio Day is 'Radio in time of Emergency and Disaster'. 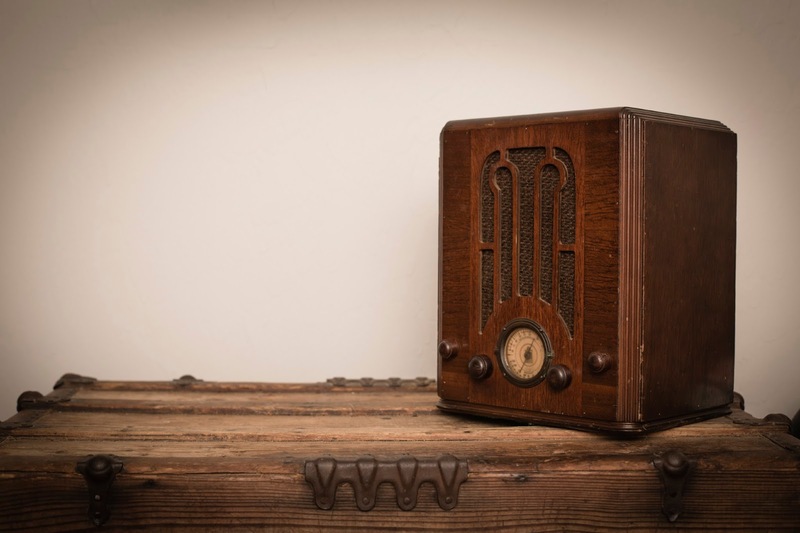 Radio still remains the medium that reaches the widest possible audience in the quickest possible time. 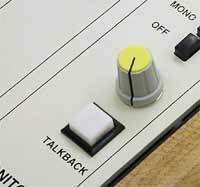 Why do so many ad copywriters and producers believe the tinny sound of talkback effects works in a radio ad campaign? I've said it before - but now this new contagion of ads bearing such effects is getting me very, very annoyed. I can think of no TV campaign which is similarly obsessed with the intricacies of TV cameras, scripts or acting - nor a digital campaign obsessed with the intricacies of how the internet works or the font colour. Why do we get this talkback theme repeated again and again, alongside juicy references to 'voiceovers', 'voicing' and 'we've got thirty seconds'? These radio ads are presumably hatched by producers who just don't get radio. They don't get the relationship radio has with its listeners. They don't get that radio lives in the mind and hearts of its listeners. They don't get that radio excels in storytelling. They don't get that listeners don't see radio is a thing manufactured in a studio with panels and switches, but as a friend who shares their life. Listeners don't see a mixing panel, they see a face. I presume these creative folk are good at working with other media, so may I suggest they just concentrate on that. Or talk to a few radio listeners about the place that radio enjoys in their lives. The tinny talkback effect is familiar to those of us who spend our lives in a radio studio. It means very little to those who do not. It is simply not part of their world. It relates to the life of copywriters and not to the listeners. And, anyway, why on earth would you want to enhance the impression that the VO guy is absolutely nothing to do with the company advertising its wares - and is being told what to say by someone else? As for the verb 'to voice'. It is only ever used in the media world. Normal people do not talk about voicing or 'voicing'. Radio is gifted with storytelling. We remember the great TomTom 'quicker journeys' campaign (DDB Tribal Wordwide) with huge affection. A great simple theme of an uncomfortable car journey, illustrated with truly brilliant scripting and high quality acting. That's the way to do it. We think back to the forces recruitment campaigns with young recruits speaking of their motives and dreams. We recall the hugely powerful Cancer Research UK (Anomaly/Mediacom) fly on the wall campaign in which people affected by the disease spoke honestly about their diagnosis and everyday life - in other words, the very conversations they'd be having with their closest friends. The audio worked on TV - and probably even more powerfully - on radio. "A yes (to a mortgage) can mean pencil marks on the wall as you watch your children grow ", says the current NatWest campaign. Visualisation and emotion in one great line. That works. I quite like the recent Dreams radio campaign on the jolly theme of how long ago you last changed your mattress. How can any listener resist answering that dirty question in their mind? There, you just did. But why does the campaign not feature punter voices responding to that very question? It's interesting to note that on their website, they've troubled to do a video showing, well, vox pops with people. The soundtrack to those would have worked on radio too. Folk who do great video often cannot see the value of the pictures on the radio - and the power of real voices. Dear radio campaign creatives, please, forget the studio, forget thirty seconds, forget voiceovers and talkback. Imagine a listener sat in a car in a world of their own and talk to them. It's not difficult. My book, 'How to Make Great Radio', has lots of stuff on this theme. It's out now!